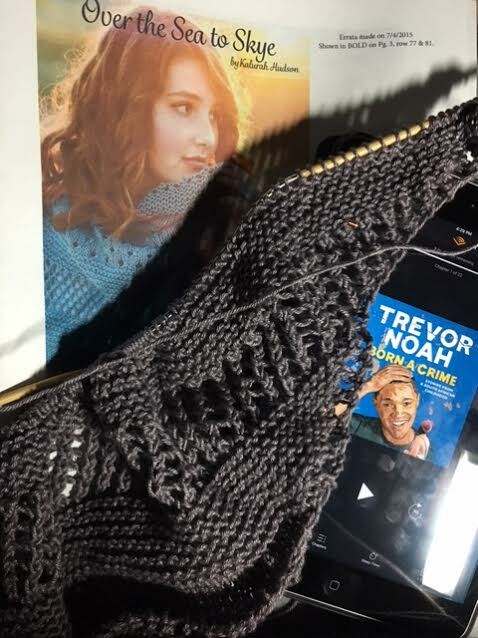 Knitting the Over the Sea to Skye shawl and listening to Born a Crime by Trevor Noah. beautiful pattern and lovely yarn! !